The founder of Amazon just posted a surprise announcement on the front page of the site. 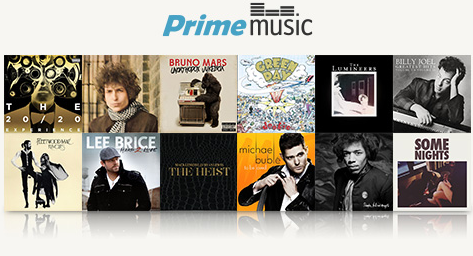 From now on, members of Amazon’s Prime shipping service can also enjoy free music! They’ll get unlimited access to over a million songs — with no commercials — and can even download songs to their phone or tablet for free! There’s lots of familiar artists — from Bruce Springsteen and Madonna to Daft Punk, Bruno Mars, Blake Shelton, and The Lumineers — and Amazon promises there’s over 10,000 albums to choose from. Amazon promises their selection will grow — which is good, because right now it seems like some artists are represented more than others. Amazon’s “100 Popular Artists” page shows which albums will be available, and it definitely seems like some artists have more albums available than others. But it’s still an impressive service, and Amazon’s doing everything they can to make it easy to use. “We wanted to remove the barriers between you and the music you love,” writes Jeff Bezos, Amazon’s founder, listing out the barriers that are being removed — “cost” and “interruptions”. He also points out that there’s also no limit on how many times you can listen to a song, which is different than other streaming music service I’ve seen. And Amazon is also trying to match their ability to recommend new songs, removing the barrier he describes as “deciding what to listen to. 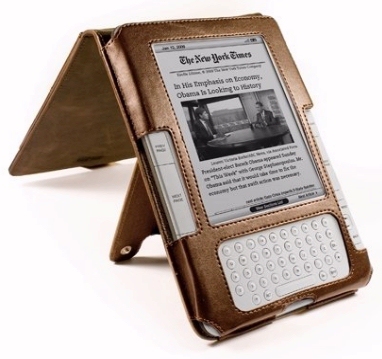 It’s one more benefit for their already-attractive “Prime” shipping service — which also includes free two-day shipping and free videos from Amazon’s library, plus the ability to “borrow” a new book each month from “the Kindle Lending Library.” And Amazon also provided a clue about just how popular their Prime program is. I’ve never seen them actually reveal the number of subscribers to the service, but today they annouced it has “tens of millions of members”. So that means that, at minimum, there’s at least 20 million people using Amazon’s Prime Service. Which means 20 million people just got free access to Amazon’s streaming music service!